This photograph was created in the 1880s by a now-unknown artists and is said to depict national leaders. 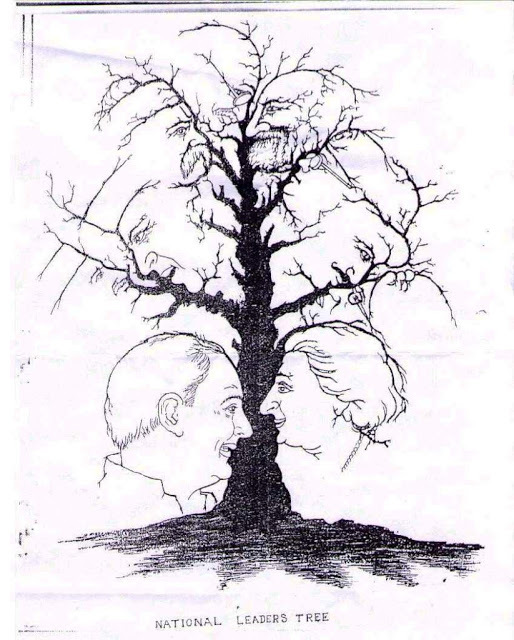 I have seen it in several different places, and it never fails to cause heated discussion about how many faces there are and who they are. 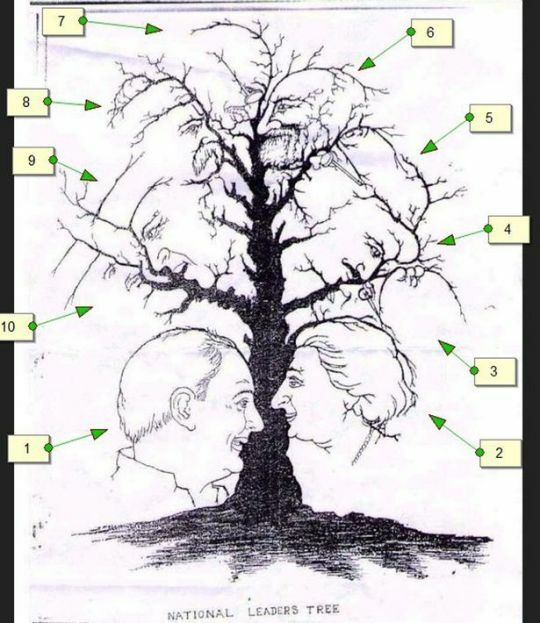 The number of faces seen ranges from 4 – 12, and suggestions of who they are run the gamut from more recent leaders such as Margaret Thatcher, to an all-Indian list of national leaders. Is this because we always tend to change a narrative to fit our own reality? I can only see 11 so I must be missing a few.